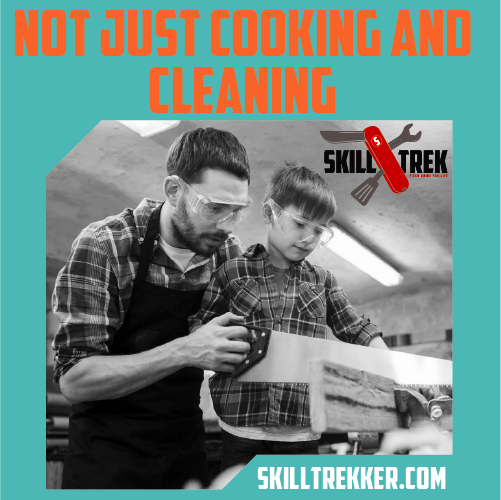 I have learned that many things are a part of making homeschooling successful. 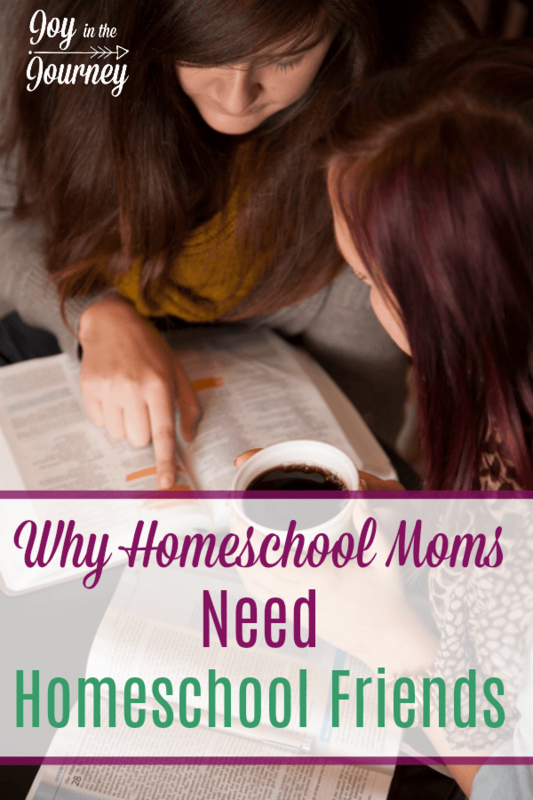 One of these is the importance of homeschool moms making friends with other homeschoolers. Want to listen instead? Click play below! When I first began homeschooling, I didn’t realize how much my friendships would change. Everyone talks about needing to “socialize” our kids, and how they need to have friends, but nobody explained to me that I would need homeschool friends too. I didn’t realize how hard homeschooling can be, and how I would need a support system too. 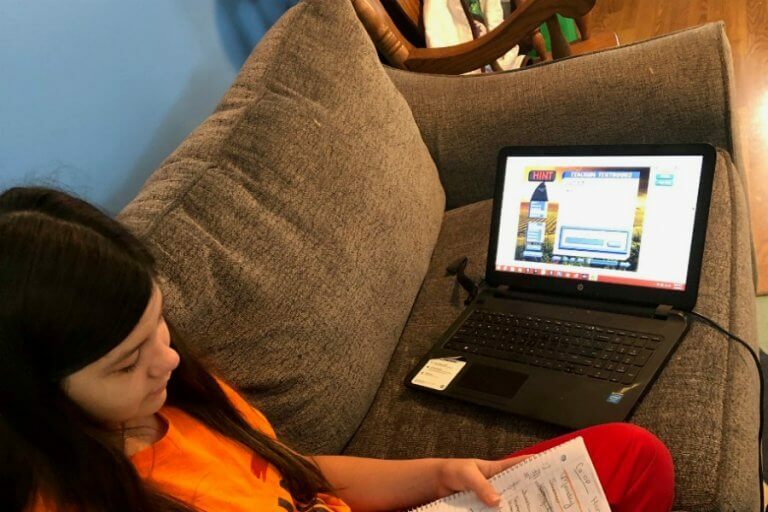 Since I started on this homeschool journey over 5 years ago, I have learned how to homeschool and that many things are a part of making homeschooling successful. 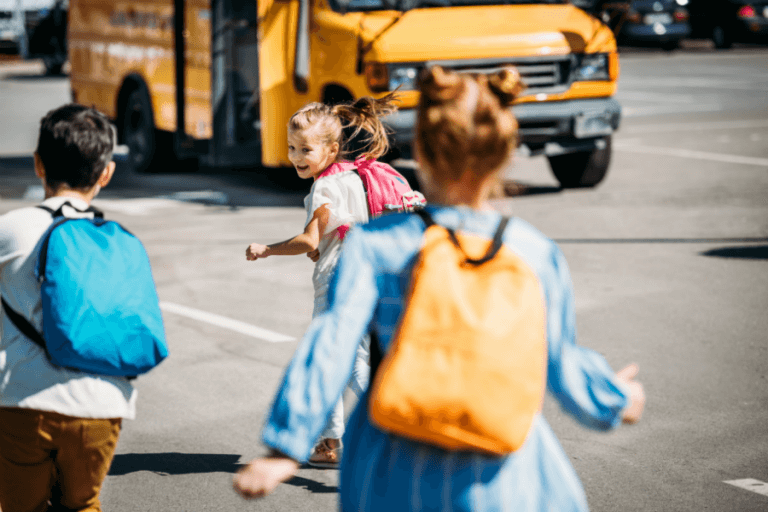 One of these is the importance of homeschool moms making friends with other homeschoolers. 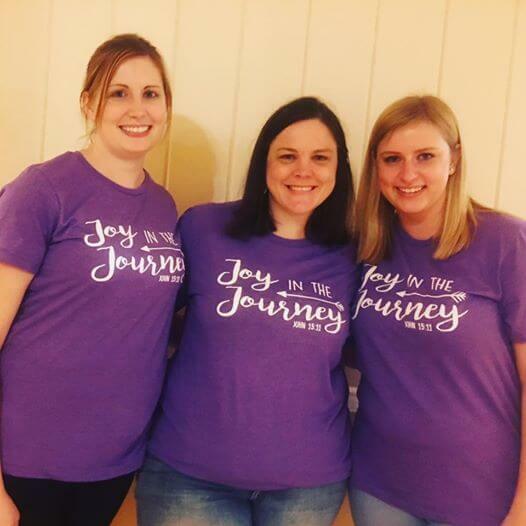 Want your own Joy in the Journey shirt? Click this photo! I remember reading one of my favorite books, Todd Wilson’s Lies Homeschooling Moms Believe . In this book, he shared how every mom needs a homeschool BFF. While reading the book, I immediately thought of mine. Now, when I started I didn’t have one, and my first year was hard. I had a support system but no one who completely “got” what I was going through as a new homeschooler with little kids. Now, looking back I realize how important that is. Why is this important? For a number of reasons, but I am going to share three. Homeschool moms give you someone to be real with. Did you lose your cool with your kids? Its okay, apologize, and strive to do better! Dishes still in the sink? Give yourself grace! Didn’t start school until noon? It’s okay; call it a 3-hour delay. These are the kind of moments and days that will happen over and over again. Sharing these struggles with another mom who “gets it” is so important! It helps you realize you are not alone. When I am having a bad day, I know I can text one of my homeschool friends and they will encourage me. In return, they can do the same with me (I hope!). Homeschool friends can provide much needed accountability. Finding someone who will help hold you accountable is important. The school must get done, and while we all deserve a little grace after a bad day, the truth of the matter is we are educators. Our job is to get school done. A good homeschool friend can encourage you when you’re in a rut, and hold you accountable. It can happen through a gentle nudge to hit the books, or a great book or curriculum recommendation when a child is having a hard time in a certain subject. As homeschool moms we shouldn’t always “need” someone to hold us accountable, but when trials happen, or we hit a rut, having a homeschool mom friend can be a big encouragement and can help give us the accountability we may need. Homeschool moms know that homeschooling is not something everyone understands. Having someone who understands the trials of homeschooling will be a huge encouragement to you. Not everyone “gets” homeschooling. And, I am going, to be honest with you; your relationships with those who don’t homeschool will change. This doesn’t mean those friendships aren’t important to you, but that naturally you will be on a different path than your friends whose children go to public school. Your children are with you all the time, others aren’t. You can’t go for coffee at noon childless. Naturally, some friendships will dissolve, while others may hang on. I have great friends whose kids are in public school but when it comes to talking about “school” problems, we don’t have as much in common. You need homeschool help for moms from friends who “get” the curriculum dilemma, a mom you can contact when you need homeschool curriculum help. 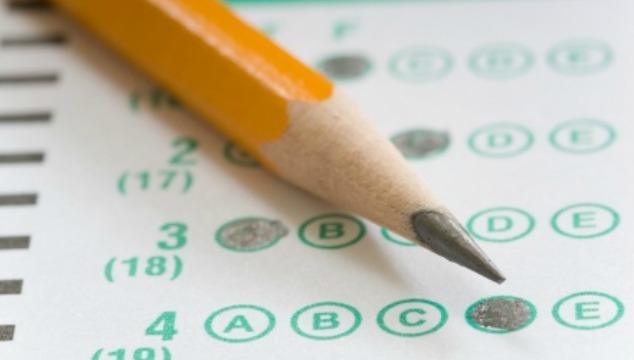 Homeschool friends will “get” why the socialization question is SO annoying and who “get” why you can’t decide whether to test this year. Homeschooling is hard, and each year I face a new trial. When I first started I had one child who I was homeschooling, now I have three. My homeschool friendships have changed also. I find myself encouraging those moms with little ones, while those who have been on the journey awhile with me are going through the same struggles of realizing we have more than one kid to educate! No matter where you are in your homeschooling journey, I encourage you to find another homeschool mom to be friends with. 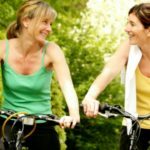 These friendships are important to your sanity and maybe the other moms too! These moms can give you encouraging words for homeschool days that seem like they will last forever. Homeschool moms can encourage each other, just by sharing their struggles, their joys, and their wisdom. 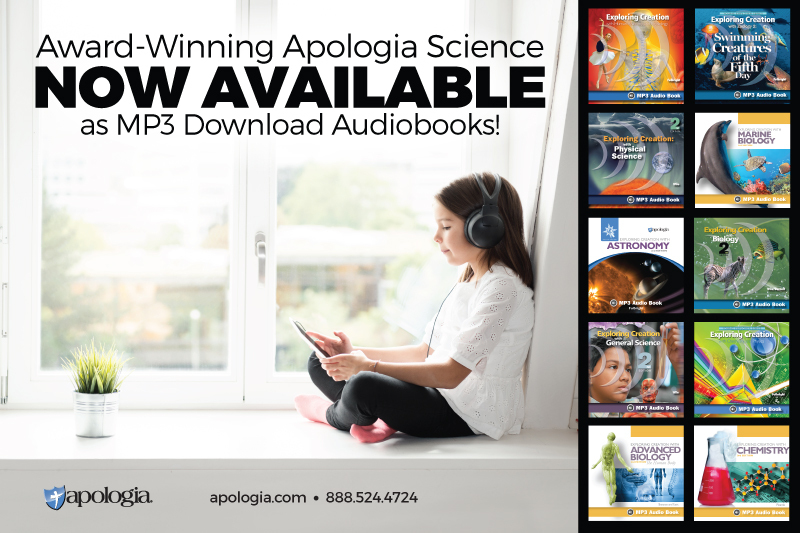 PS: Want to really encourage your homeschool tribe? 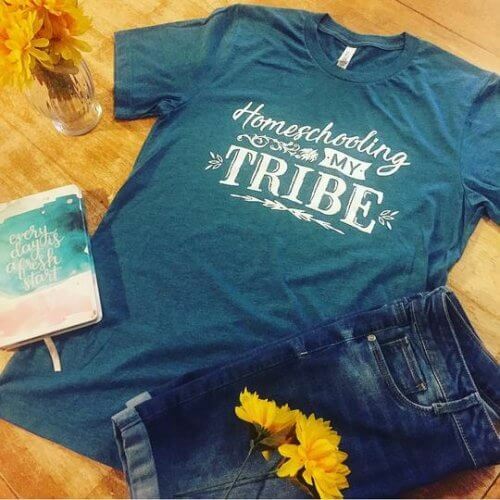 Grab one of these t-shirts for you and your homeschool friends! I am SO sorry you feel this way. I did write an article about this, not exactly, but same basic concept. I have been homeschooling my daughter almost a year now and am losing my mind. I have 1 friend basically but I need others like myself that know whats going on. Id like some friends for myself and my 9 year old daughter. I know she needs some kind of interaction with other kids. Any help would be great. You will find moms there who are in the same place you are. It’s a great way to find support. Second of all, have you looked around your area for a group? Checked the library? Your state homeschool organization? Asked around at your church? Many homeschool groups aren’t advertised but are smaller and you may need to “know a friend of a friend” to get in. I’d encourage you to try those avenues. If nothing else, consider starting one of your own! That’s how ours started and now we have over 80 families. Hugs! I hope you find the support you are looking for. We are part of two networks in the Wollondilly shire and Camden Narellan, we have a large group of Homeschooling friends, the great thing about having a awesome network, is where you are struggling there is always a mum who excels in that area and willing to help, we also have formed Art classes, and PE classes. I don’t think I could have ever done Homeschooling if it wasn’t for these coops and friends, for the mums who feel that the coop local to them is just not friendly enough, then travel, we have a lady in our Camden, Narellan group who travels from fairfield that is at least 40 minutes away, she comes on most excursions which are even further away, she has 5 children under 9 and is an amazing mum, she only ventures out once a week, but makes a huge effort to do so, even if you have to travel 2 hours it is worth it. Homeschooling is too hard to do alone. Yes! A support system is so vital! When we began our homeschool journey 18 years ago, we knew only one family who also homeschooled. We took our child out of school at the end of 3rd grade and bravely began teaching at home. The Lord was so gracious in providing everything we needed, including sending other homeschool moms to encourage me along the way. I already had friends & relatives who homeschooled and I was starting to think about it. One day when I drove by a glass-front building, I saw a lot of my friends inside who had just come to my baby shower the day before in the same building (my oldest child was 2). So I came in and asked what was happening; what was this get-together… they said I’d have to come back in a few years! Why? Because it was a homeschool mom’s group! Seeing them all together helped cement my decision. So, thankfully, I’ve never been without homeschooling friends. We’ve participated in various weekly co-ops off and on over the years. I’m an extrovert and like a bit of accountability sometimes. I read “boredlady’s” comment above and would like to suggest that if you change your name (so to speak) to “interestinglady” then you might attract a friend. You really only need one; two or more are fine. After you introduce yourself at the next homeschool activity, go one more step further and invite someone to your home… whether it’s the most shy-looking mom there, or the busiest one, chances are she’ll invest a couple hours into visiting with you. If nobody’s talking to you, don’t blame yourself; it’s because they can’t think of what to say. Simply talk about yourself some (yes, people are interested!) to make it easier for people to think of questions to ask you. If you don’t say much then they’ll wonder where to begin. Practice first, and pray. Just some friendly ideas for you! The first and third, yes, but I do not need outside people keeping me accountable. I have a husband and GOD for that. The fact is, that there are times, and sometimes quite a few times throughout the year that we need to take a day or a few days to deal with the HEART vs the “mind” and I don’t need a well meaning friend asking or worse harping at me, when they’re not in my home, not my child(ren)’s parent and do not have their well being as their priority. They may care about my kids, but I am the mom and it’s MY job, not my friends, to educate my children. I also guess I’m at an age and have been homeschooling long enough (almost 11 years ) that I don’t seek approval from others, even my friends. Sometimes we get too focused on others approval and what they think we should or need to do, we miss the one(s) at the center, our kids. God has blessed me with some great homeschooling mom friends, none are my “best” friends, but they’re precious to me. I agree with you to an extent. I think starting out, I needed some accountability. I know others who have as well. I think it really depends on our personality and our season. Thank you so much for stopping by and sharing your thoughts! I agree. I used to have homeschooling friends but then we moved. I made a few here and then we moved again and so did a person who was in charge of the main support group I attended and the other support group eventually fell apart too. It’s such a pity because they were so welcoming. The only groups left seem to be extremely busy and I don’t like groups like that. I’ve tried them and it was so stressful. With such large age gaps in my house and having a challenging 2 year old, it’s hard to find friends. I miss the area where I began homeschooling. It was easy to do, not nearly so much opposition to homeschooling like there is here and more people with larger families like mine. I don’t need everyone around me to be like me but someone with just a few similarities would be nice. Especially in the homeschooling department. My problem is not having any friends most of the time, Homeschool or not. I find it so hard to make friends. We go to homeschool activities and introduce ourselves and never feel included. I am so sorry 🙁 Prayers that the Lord leads you to friends soon. It is SO important to have homeschooling friends! 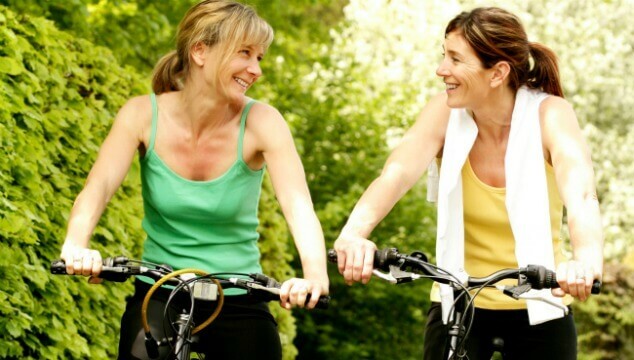 I have many older women who I can go to with questions and get practical help. They’re such a blessing. But it’s also wonderful to have a friend who is currently homeschooling. We can call each other on those days when we’re just ready to quit and be an encouragement. This is one thing I did NOT expect from homeschooling. 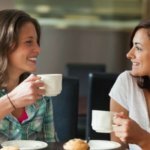 I never expected to be a homeschooler and none of my local friends are homeschoolers – we are the awkward anomaly in our group and your post reminded me of what I’m in the process of learning: I need friends who are likeminded! Thanks for encouraging us towards this. I didn’t either! I expected all my friendships would stay the same too. It’s surprising how much homschooling changes your life really! The transition from my old friends who didn’t get it to the mums who do took a while. At times it was very discouraging but I’m grateful God has placed a few moms I can call on when I need to. Thanks for totally understanding how important it is to grow friendship with people who are going to urge you on, and not pull you down. I like to link up home school mums with others I know, because often they feel so alone in what they are doing! Recently I decided to start supporting mums who take care of their children at home. 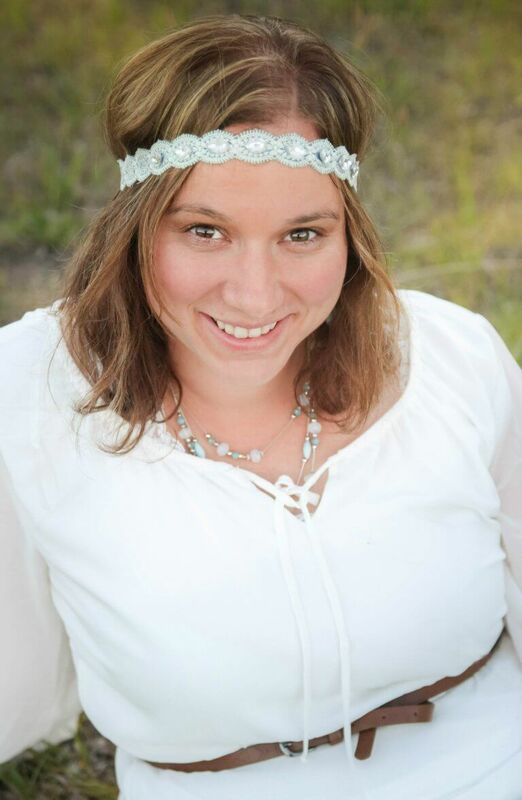 I did a post on Amanda who s a home school mum and artist making a living from the home. I love being able to support them, as well as alerting others to their presence! That is nice of you! Thank you for sharing your post. Especially that first one!! I find that some people I talk to think I’m just a whiny mom, some people respond with “that’s why I won’t have any kids EVER”, and blah….sometimes us moms just need someone who UNDERstands without judging!